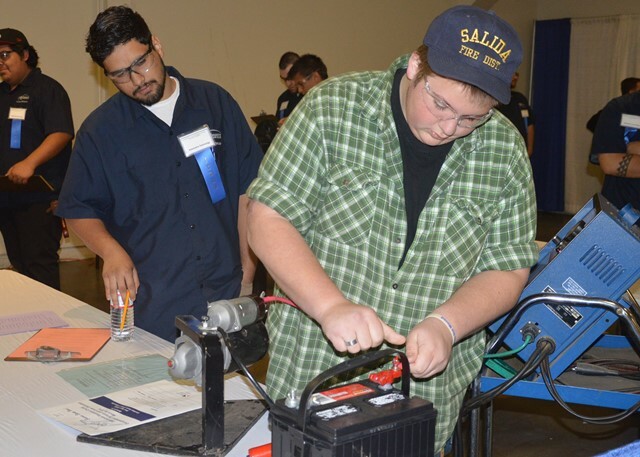 Approximately 800+ Stanislaus County high school students will converge on the Stanislaus County Fairgrounds in Turlock on Thursday, March 21, 2019, for the 34th Annual Occupational Olympics and Career Exposition (OOCE). The event will be held from 8:30 a.m. – 2:00 p.m., with an awards ceremony at 1:00 p.m. Designed to promote academic and occupational understanding in various career areas, and recognize high school students who excel in their mastery of skills, the event is sponsored by the Gallo Foundation, the Stanislaus County Office of Education (SCOE), Stanislaus Partners in Education (SPIE), Stanislaus County Fair, Modesto Junior College, local business and industry, and school districts county-wide. Approximately 50+ vendors representing business/industry are participating and students will have the opportunity to speak to them regarding careers and college. During the exposition, representatives from local business and industry will judge students in 19 competitive events including, agricultural engineering/construction, agricultural technology, automotive & small engine technology, criminal justice, culinary, firefighter candidate, floriculture, job seeking skills, marketing mathematics, medical occupations, robotics and welding. Students will be rated on knowledge of their field of interest, ability to perform tasks using appropriate tools, and employability skills. Plaques are awarded to the top three participants in each event, and the top eight finalists receive ribbons. One small and one large school will be awarded a Sweepstakes Award. Note: Best photo opportunities are during competitive events, 9:30 a.m. – 11:00 a.m.